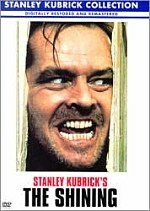 The Master of Horror unleashes everything you were ever afraid of. Hitachi 31" TV; Kenwood VR-507 receiver with built in DD 5.1/DTS Decoder; Kenwood Left, Right, Center and Powered Sub; Audio Sphere Rear Surrounds; Toshiba SD-2800 DVD Player; Acoustic Research Fiber Optics and S-Video Cables. Stephen King, with his obvious success as a horror/suspense writer has also had a fair share of success in the movie business as well. Not only have many of his books been adapted for the silver screen, but he’s even written a few screenplays specifically for that medium. He seems to be a man with his big toe stuck into a little bit of everything. Aside from major film releases, he’s been on the small screen several times as well. The thing with Stephen King is that many of his books are so epic in scale that the stories within those pages simply can’t be told in a typical, made for TV timeline. That’s where the TV mini-series has done him the greatest a mount of justice. The Stand, Red Rose and The Langoliers just to name a few that have aired. The Stand was especially enjoyable for me, since I just happened to finish reading the book about a month before the 4 part mini-series aired. Even his horror classics Carrie and The Shinning, which was perfectly fine the way they were ended up being remade for TV. Stephen King has been fortunate to be adapted to just about every medium known to man, and his successful bestseller ‘IT’, is just another creepy example of a well-known novel being adapted for the small screen. For a television show that originally spanned two nights and lasted about 3 hours, Stephen King’s – IT actually tells a very simple story. Much of the show takes place in 1960 – a time when strange things are happening in the small, quiet town of Derry. More and more young children are going missing and on occasion they’re being found horribly mutilated. Only a few in the town are beginning to suspect the truth about what is going on. 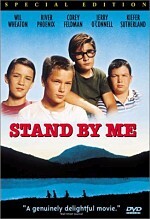 The plot basically follows the exploits of 7 kids – 6 boys and 1 girl who call themselves the ‘losers club’. Each one of them is somewhat of a nerdy outcast in their school and this is basically what has brought them together as friends. Not only that, but they are also aware of the strange events taking place in their town, as each one of them has experienced grisly hallucination at the hands of a sadistic clown known only as Pennywise (Tim Curry). While the gang kept their visions a secret from one another for some length of time, they eventually come to realize that they have all been going through the same thing. Each of them has had visions. Living nightmares that work against the individual child’s most primal of fears. Discovering the source of the evil presence within their town, the 7 friends band together and enter its sewer system. Facing Pennywise, they work as a team to defeat him and drive him off. Believing him to be beaten they leave the sewer. Upon exiting they come together, forming a circle and taking a vow that if the evil of Pennywise should ever return that they would come together, no matter where they are in life to deal with him once and for all. 30 years have passed and Mike Hanlon, (Tim Reid) the only member of the ‘loser’s club’ still living in Derry discovers that Pennywise may have finally returned. Children are once again going missing and being killed. Remembering the vow, he calls the others into action, reminding them of their promise. The friends re-unit and prepare to fight Pennywise one final time. However, all is not starting off well. Upon returning to their hometown they each begin to have vision again. Not only that, but they also learn one of their ranks has committed suicide, too fearful to endure the horrors of Derry again. While many of the friends are admittedly unwilling to do battle against Pennywise again, they inevitably agree that they are the only people who can stop him. They believe that there’s power in their unity as friends, and that only they can ultimately defeat – IT. The ending of the show was somewhat anticlimactic and disappointing. While Pennywise exudes a fearsome and foreboding visage throughout the show, coming across as almost supernatural, in the end the real evil is brought to light. A being that is nothing more than a laughable and forgettable rubber puppet. A poorly designed creature that boasts horrible special effects, even for 1990’s. After nearly 3 hours of watching the show, and remaining somewhat interested, I was expecting a little more from the ending. Needless to say, the conclusion didn’t even come close to reaching my expectation. Thankfully it’s over and I can turn it off now Dammit! I still have to watch it again for the audio commentary. Oh, the humanity! While the first half of the show predominantly features the ‘loser’s club’ as children, the 2nd half is pretty much devoted to them as adults. Some of the familiar faces you might recognize include (John Ritter, Harry Anderson, Richard Thomas, Tim Reid) and (Annette O’Toole). This casting decision has always been the thing that bothered me the most about this show. Lets make a spooky suspense story based on a book by a master of terror, and fill the roles with actors who are best known for appearing in shows like Three’s Company, Night Court, WKRP in Cincinnati and The Waltons. Somehow I just don’t see the logic here. Sure, these are seasoned television actors, but hey, couldn’t they have cast some washed up losers from Dynasty or Knots Landing? At least that would have been a little easier for me to swallow. In fact, the only actor in the show who is of any real value was Tim Curry as Pennywise. He doesn’t appear a whole lot during the show, but when he does, comes across as especially creepy, and no doubt proceeded to ruined the reputation of clowns forever. Who know, I think half of it has to do with the fact that clowns are kinda freaky regardless of who’s underneath the make-up. Also making an appearance in the show is a young Seth Green as one of the kids. If you watch the part with him fighting off a vision of a gnarly werewolf, you might be able to convince yourself you’re watching an episode of Buffy the Vampire Slayer. That always helps. When all is said and done, I’d being lying if I said I didn’t enjoy Stephen King’s – IT, at least a little bit. However, on the flipside, I can’t imagine myself having the desire to view it again anytime soon. While the show does have a few creepy moments, it’s overall a dull and lifeless affair. In fact a majority of the horror comes from fake blood that gets splattered all over the actors every time they have a vision. There’s no real gore, just lotsa fake blood. Blood bubbling out of the bathroom sink, blood slashing people when a balloon pops, blood in your tea cups, blood oozing out of photo albums. It’s the same sorta thing over and over again, and frankly, it got a little monotonous. When I was 15 this might have been scary. I guess considering it’s made for TV, the film makers did their best to appeal to a larger audience. IT’s not a bad show, but so obviously made for television that it lacks that much needed Stephen King punch. While I’ve never read the book, I have read several of King’s other novels. I think it would be wise for me to assume that the level of fear the book fills the reader with, far exceeds even this films best moments. 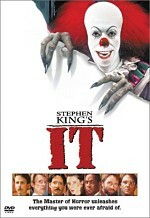 Stephen King’s – IT is presented in an aspect ratio of 1.78:1, it’s also been enhanced for 16x9 televisions. 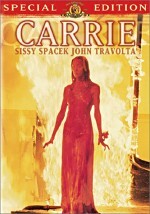 The DVD is a double sided flip disc, with one part of the mini-series appearing on each side. In a side note, the director seems to imply during the audio commentary that the show was originally filmed at 1.33:1 – as he expresses the difficulty in squashing 7 people into such a small frame width. While I can’t confirm this, it would seem that the show may have been matted to suit the widescreen format. Despite the questionable aspect ratio, the show still had a surprisingly solid picture. While the image could get a little fuzzy and grainy at times, it was very minimal and never really became a problem. I also detect a few speckles here and there, but again, it wasn’t really a huge problem. Overall the look of the show was pretty much what you would expect from an early 90’s - made for TV movie – bland. What I mean by that is; it contained little in the way of visual style and flair. The atmosphere was fairly standard and did little to help it stand out from the crowd. It looks very much like your typical, cliché television drama. Simply filmed to tell the story, not to impress you with innovative and exciting camera work. For such a standard palette, colours were nice and bright, especially when Pennywise the clown appeared. His brilliant red hair and yellow outfit looked great, with no subdued hues or oversaturation. Black levels were also very nice, appearing thick and solid, as they should. Simply put the picture was very watchable, yet unexciting. It’s another formulaic television production that contained only a few negative issues. In the sound department, the show is pretty much what I expected. IT is presented in Dolby Surround Stereo – and while the presentation was solid throughout the viewing, it never offered anything special. Voices and sound effects come across clear and concise, without any trace of tinny vocals or hollow ambiance. The downside of the show is that even though it’s in stereo surround, rear activity is so minimal that one can hardly tell the difference between surround and just basic stereo. In fact, the only time I even heard the rear speakers going was when music was playing. Admittedly, there was other sound coming from the rears, but I pretty much had to stand up and put my ear next to the speaker to hear anything at all. Solid sound that gets the job done, but pretty standard stuff across the board. First up on our list of extras is the cast & crew. The list contains about 8 actors and 5 crew members – listing the role they played in the production of the movie. This segment also provides filmographies for Lawrence D. Cohen who wrote the teleplay, Stephen King, who wrote the original novel and Tommy Lee Wallace the director. Next, and well… Last on our list of special features is an audio commentary by director Tommy Lee Wallace and actors, John Ritter, Richard Thomas, Tim Reid and Dennis Christopher. First off I’d like to point out an observation. While listening to the 5 men talk I was getting the distinct feeling that the audio commentary was in fact; 3 separate commentaries that were spliced together into one complete, screen specific presentation. The reason I say this is because there were moments when director Tommy Lee Wallace would talk for 30+ minutes straight without a singe word from any of the others. Same for Richard Thomas, when he spoke, no others were heard speaking. In fact, the only people who seemed to be together during recording were Ritter, Reid and Christopher – as they often played off one another and reacted to each others comments. Now whether or not film studios do indeed splice individual commentaries together is pure speculation on my part, but it certainly seemed that way to me. You almost need to hear it to understand my meaning. A good example of this is when John Ritter talks about the director (Tommy Lee Wallace) in the 3rd person, as if he’s not even in the room. In fact, Ritter talks about how he’s pretty sure the director was involved in some of the Halloween movies. A moot point, as the director admits to having worked on Halloween with John Carpenter several minutes before Ritter brings it up. While some listener may be convinced that all 5 men were recorded together, I don’t believe this to be the case. Not that it matters all that much, it just found it to be a little odd. Overall the commentary was fairly standard and really nothing much of interest. The group (whether recorded together or not) was fairly lifeless throughout. Things never get particularly wild or exciting. All the men are far too mellow. While the occasional joke is cracked, these humorous moments are few and far between. If these men were indeed recorded together, I’d have to applaud their politeness, as we hardly ever hear more than one person talking at any one time. A majority of the commentary seems to be personal in nature, as most of the group talks about their own knowledge of Stephen King and how most of them has never read the book prior to being cast in the film. They also talk about how well they got along with each other as actors and how much they enjoyed the process of filming the show. A lot of nostalgic banter really. The group also talks about what it was like to work with their young counterparts. Pointing out how the kids where more demanding as actors than most of the adults. It’s especially funny to listen to John Ritter joke about how surprised he is to see that Seth Green pretty much disappeared into obscurity after this role. Obviously he’s being sarcastic as Seth Green has actually become rather successful since this movie. On the technical side of things, they really don’t have a whole lot to say. We learn very little about the production of the film aside from the work that went into getting just the right look for Pennywise. We also hear a little about the director reservations about showing the creature at the end. Talking about how he disliked the idea of showing ‘IT’ as something that was tangible. Pretty much reinforcing my feeling that the film was far better before we knew what ‘IT’ really was and what ‘IT’ looked like. Overall it wasn’t a horrible commentary, it just wasn’t particularly interesting either. While we do get a little bit of insider information, the men are fairly quiet much of the time. While I’m sure fans of the film are sure to enjoy it, I wasn’t all that thrilled with having to sit through all 3 hours of it. While I did enjoy my viewing of Stephen King’s – IT, primarily because of my interest in the author’s work, I don’t see myself watching it again anytime soon. The fact is, while the show was interesting, it doesn’t offer anything particularly special. I’m sure serious King fans will be all over this one, but truth be told, this TV representation of a King book is nothing compared to his feature films. I suppose when this program originally aired it pushed the boundaries of what could be shown on TV, but today, it’s rather tame – and maybe even a little lame. The DVD offers good picture, acceptable sound, and a fairly lackluster set of extras. Still, it’s hard to complain since I’m surprised to find an old ‘made for TV’ film has any features at all. It’s just too bad the commentary was so dull. In the end, it was nice to see the show again, but it’s something that I feel would have been best left for a rental. In my opinion it’s not really a disc worth owing, unless you consider yourself a serious Stephen King fan and absolutely must have everything he touches.